Hard Power - military and economic sanctions - puts facts on the ground, bombs in the air, and bodies in graves. Soft Power - music, art, film - opens hearts and minds and plants dreams in imaginations. ​We understood that communism was that regime which we all hated when we were kids. 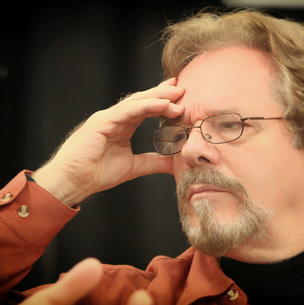 Jim Brown is a four-time Emmy Award-winning producer/director and heads Jim Brown Productions in New York. He is responsible for some of the most popular and critically acclaimed musical documentary programs of the last 35 years. He has made over 120 television documentaries and concerts. Four of his documentaries were released theatrically. His productions have been shown and distributed by MGM/United Artists, The Weinstein Company, PBS, Showtime, HBO, Discovery Networks, ABC, Fox Network, Sky Television, BBC, Sony Music Entertainment, Warner Brothers Music, Rhino Entertainment and others. He has partnered with The Grammy Museum Foundation, The Rock and Roll Hall of Fame, The Experience Music Project, The Country Music Hall of Fame, The Library of Congress, AT&T Foundation, Woody Guthrie Publications and The Smithsonian Institution. Jim has been the recipient of multiple grants from The National Endowment for the Arts, The National Endowment for the Humanities and the Grammy Foundation. In addition to 4 National Prime Time Emmy Awards, he has received an additional 4 Emmy nominations, A Christopher Award, The Cable Ace Award for The Best Music Special of the Year, A Gold Plaque (Biography/History) from The Hugo Awards, 4 Blue Ribbons and the Grand Prize (The Emily) from The American Film Festival, The Grand Jury Award from the Utah/US Film Festival (which became The Sundance Festival), 2 Grammy Nominations, First Place (Music Documentary) from US International Film and Video Festival, RIAA Gold Certified DVD, and Best Historical Recording- American Association for Independent Music. His films have also been showcased at The Tribeca Film Festival, Silver Docs, The Berlin Film Festival, The Cannes Festival and The London Film Festival. When Brown produced and directed A Vision Shared: A Tribute to Woody Guthrie and Leadbelly (which was conceived by Bob Dylan as a means to fund the Smithsonian’s purchase of Folkways Records) it was cited by TV Guide as “the best music special of the year” and was televised in over 25 countries and became a best selling home video and record which ultimately raised millions of dollars and secured the purchase of Folkways Records. In the US it aired on Showtime, PBS and The Disney Channel. Brown has worked with countless musicians, including Bruce Springsteen, U2, Keith Richards, Little Richard, John Mellencamp, Robbie Robertson, B.B. King, Pete Seeger, Johnny Cash, Willie Nelson, Kris Kristofferson, Waylon Jennings, Jessi Colter, Hank Williams Jr., Roseanne Cash, John Carter Cash, Jackson Browne, Bonnie Raitt Tom Morello, Buddy Guy, Keb Mo, Mary Chapin Carpenter, Carole King, Gloria Estefan, Emmylou Harris, Trisha Yearwood, Wynonna Judd, Doc Watson, Earl Scruggs, Ricky Skaggs, Marty Stuart, Don McLean, Harry Belafonte, Donovan, Peter, Paul & Mary, Holly Near, Judy Collins, Joan Baez, Arlo Guthrie and Odetta, Robert Plant and Alison Krauss, Billy Bragg, Steve Earle and The Klezmatics. He has also worked with notable public figures such as Presidents Clinton, Bush, Sr., Ford and Carter; Nelson Mandela, Desmond Tutu, President Hugo Chavez, General Colin Powell, Danny Glover, Bill Cosby, Rosie O’Donnell, Whoopi Goldberg, John Travolta, and Oprah Winfrey. Jim has also co-produced and/or collaborated with Norman Lear, Michael Cohl, Steve Bing, Ken Burns, Nora Guthrie, Robert Santelli, Peter Yarrow, Jeff Rosen, and the late Alan Lomax and the late Harold Leventhal. ​Brown is also a tenured professor at the Kanbar Institute of Film and Television at NYU’s Tisch School of the Arts. He is an outdoor enthusiast and gardener who lives in the Hudson Valley, New York and is a member of the Directors Guild of America. Nick Binkley’s career includes banking and finance, and forty years in the music business as a musician, songwriter, recording artist and record executive. Over the past decade, Binkley conceived and co-authored the original story for the film Free To Rock with Doug Yeager and Valery Saifudinov, and as an Executive Producer raised the seed financing. As a Producer, he made several trips to Russia and Eastern Europe, producing and shooting on-camera interviews. Nick befriended and supported the first wave of Soviet rock stars that were able to emigrate to America in the 1970s, including Russians Yuri Fokin and Serge Diujikov of the band The Flowers, Yuri Valov of the Blue Guitars, and Latvians Valery Saifudinov and Grisha Dimant. Among these musicians, the first Soviet Rock Band in America Sasha & Yuri would form. Binkley would later form his own band, The Street Dogs, from these musicians, and would record and tour in Russia and appear on Russian TV and radio, while promoting their East/West anthem recording of “Novi Mir” (in English and Russian). For many years, Binkley has been a member of the Council on Foreign Relations. He also served on the Advisory Council of John Hopkins’ Paul H. Nitze School of Advanced International Studies (SAIS) in Washington, D.C.; and on the International Advisory Board (“IAB”) of the University of California San Diego’s Graduate School for International Relations and Pacific Studies, where he served as its first Chairman. His thirty year banking and finance career included serving in the Middle East Petroleum Division of Chase Manhattan Bank, Beirut, Lebanon (1974-75), and as Vice-Chairman and member of the Board of Directors of both the Bank of America Corporation and Security Pacific Corporation, and later as a Director of Union Bank of California. He is also a founding general partner in the private equity firm Forrest Binkley & Brown. Binkley is the owner of PSB Records, which has produced many artists over the past twenty years, including the recent releases in 2014 of Nick Binkley: 100 Parts of Heart, and Go, Go, Boom, Boom by Elektrik Tank, founded by Soviet/Latvian rock pioneer Valery Saifudinov, who is its lead singer and songwriter. In 1996, Binkley and Russian pop star Vyacheslav Malezhik co-wrote the East-West Peace anthem, Novi Mir, which was released in America and on Melodiya Records in Russia while receiving significant airplay and acclaim. In 1997, and again in 2007, Binkley and Malezhik performed the song on national Russian television. Binkley and Free to Rock co-producer Doug Yeager, are also developing a feature length documentary film on the life and career of singer/actress and civil rights icon, ODETTA. Over the past year, Binkley has participated in panel discussions and Free To Rock film Q&As on the soft power of rock culture diplomacy to cause change in societies, including the U.S. Capitol, Georgetown University, George Washington University, John Hopkins/SAIS, the World Affairs Council of Houston, Stanford University, and the Rock and Roll Hall of Fame, in addition to San Diego Filmmakers, the Sun Valley Film Festival, Newport Beach Film Festival, Sonoma Valley Film Festival; in Latvia (under the auspices of the U.S. Embassy) at: the Splendid Palace Theatre in Riga, the University of Latvia, Riga Stradins University, and Daugavpils University; in addition to a United State Department screening and discussion tour of France and Tunisia at eleven universities, international high schools, cultural centers and the U.S. Embassy, discussing the soft power of music and cultural diplomacy and its ability to effect change in societies. A former Peace Corps Volunteer in Tunisia, Binkley received an MA in International Relations from John Hopkins’ SAIS and a BA in Political Science from Colorado College, with additional studies at l’Université d’Aix-Marseille in France. 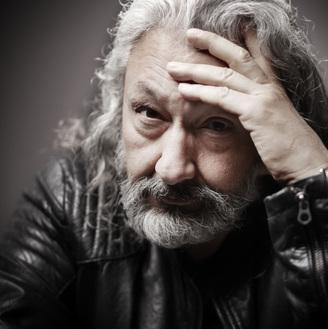 Stas Namin (birth name Anastas Alekseevich Mikoyan, born in 1951, November 8, Moscow, USSR) – Soviet and Russian musician, composer and producer, artist and photographer, theatre and movie director, founder and leader of The Flowers rock-band (1969); founder, producer of Gorky Park rock-band (1987), Moscow Symphony Orchestra (1989), Moscow Ballet-on-Ice (1991), Moscow Music and Drama Thetre (1999) and others ventures. In 1987 he organized the first Russian independent producing Centre which launched the careers of many superstar Russian performing artists. He initiated, produced and promoted the first music festivals ever held in Russia, including the Moscow International Music Peace Festival at Lenin Stadium in 1989 with Bon Jovi, Ozzy Osbourne, Motley Crue, Scorpions and others, which was called “Russian Woodstock”. The series of ethnic festivals “One World” gathering different cultures on one stage, “Rock from Kremlin” – festival gathered previously banned groups on the stage of the Kremlin Palace, and others. A pioneer of the Russian independent entertainment industry, he founded the country’s first private (non-governmental) design studio, concert agency, record label, radio station, television company and others. In 1987–2000 he founded, produced and promoted the Gorky Park band, Moscow Symphony Orchestra and first in the country Theatre of Musicals. Additionally, he has created and produced the largest independent international festivals of Russian culture “Russian Nights” in his country and abroad in 2003–2007 (USA, Germany, China, South Korea). Despite the significance of his commercial, social and creative projects, in the 2000s Namin practically stopped his activity in show business. He soaked himself in personal artistic endeavor in the fields of theatre, films, art, photography, and music – new repertoire for The Flowers, solo ethnic and art rock albums, music for the theatre and experiments in symphony. As CEO of Douglas A. Yeager Productions, Ltd. For more than 40 years, Yeager has acted as an international entertainment executive, film, theatre, television and record producer, concert promoter, special event producer, artist manager and Government consultant, with projects on five continents. Over the past decade, Yeager co-authored the original story for the film Free to Rock with Nick Binkley and Valery Saifudinov, while actively working as an Executive Producer and Producer on the road with the film project, including several trips to Russia and Eastern Europe. As the lead researcher for the film, he is also writing the film’s companion book. From 1987-1988, Yeager was a consultant to the Soviet Union’s Ministry of Culture for both American and Soviet artists performing in each country. His Soviet productions included Melanie’s first tour of the USSR, and the Paul Robeson Tribute theatrical tour of the USSR. From 1978-1996, Yeager was consultant to Germany’s National TV & Radio network, WDR/ARD, where his stage/TV/radio productions “Harlem Story” and “Deutschland Lied” (which explored the history of Germany and its culture from 1933 to the collapse of communist rule in East Germany) earned him theatrical and television awards; and he also co-produced the entertainment segments for the 1991 and 1996 German TV Awards show, TELSTAR. Most recently, Yeager was executive producer of the documentary film DAVID AMRAM: The First 80 Years (2015); and consulted the new Alvin Ailey Dance Theater’s ballet ODETTA, which is touring the world for the next three years. Previously, he was associate producer and talent coordinator for numerous national PBS TV specials, including Woody & Me; Ramblin’; and Just Folks. His stage and concert productions include the 20th Anniversary Woodstock World Tour; the Iron Butterfly 25th Anniversary World Tour, JOSH: The Man & His Music; plus special events for the White House, Congressional Black Caucus, and the United Nations. His concert promotions included many rock and R&B legends of the Cold War era, including: Chuck Berry, Velvet Underground, Ray Charles, Genesis, Eagles, The Band, Allman Bros, James Gang, Yes, Blue Oyster Cult, Aretha Franklin, Spirit, Edgar Winter, Little Feat, Canned Heat, Ten Years After, Boz Scaggs, and Spencer Davis. Among the artists whose careers Yeager managed, include: Odetta, Randy Crawford, Richie Havens, Tom Paxton, Josh White, Jr., Les Variations, John Fahey, David Amram, and the Estates of Josh White and Odetta. In 2014, Yeager shared a panel discussions at the John Hopkins School of Advanced International Studies in Washington, D.C. (on the 25th Anniversary of the first tear in the Iron Curtain); moderated and shared a panel at the International Folk Alliance in Kansas City's discussion on The Life and Career of the African-American Socio-Politico and Cultural Pioneer Josh White; and lectured at the Cordoba Initiative in New York on the Alchemy of Music and Culture in International Multi-Faith Relations. Recently, he was guest lecturer at Georgetown University's School of Foreign Service's Practice of Diplomacy class, discussing How the Soft Power of Rock Music Caused Social and Political Change Behind the Iron Curtain during the Cold War; while also lecturing and sharing panel discussions on this subject at three Latvian universities: the University of Latvia, Riga Stradins University and Daugavpils University, in addition to sharing a panel at the Splendid Palace in Riga following its screening of the film Free To Rock. He has also screened the film and participating in panel discussion and Q&As on the soft power of music and culture to cause changes in societies at the U.S. Capitol, the U.S. State Department, and at George Washington University; at the White River Indie Film Festival; and at the Rock and Roll Hall of Fame in Cleveland. In 2017, he and co-producer Nick Binkley completed a U.S. State Department sponsored Free To Rock screening and discussion tour of France and Tunisia at eleven universities, international high schools, cultural centers and the U.S. Embassy. Yeager majored in International Relations at the University of Cincinnati and l'universite d'Aix-Marseille in France, where he first partnered with Nick Binkley, co-producer of Free to Rock. Yeager and Binkley are also developing a feature doc bio on the life and career of the civil rights icon and singer, ODETTA, "The Voice of the Civil Rights Movement" (New York Times), for which Yeager will write the companion book. Yeager has received Special Achievement Awards from both VISTA and the Peace Corps. Bill Ivey served as the seventh Chairman of the National Endowment for the Arts from May 1998 through September 2001. Subsequently, he was Founding Director of the Curb Center for Art, Enterprise, and Public Policy at Vanderbilt University, an arts policy research center with offices in Nashville, Tennessee and Washington, D.C; while also directing the Center’s Washington-based program for senior government career staff, the Arts Industries Policy Forum, and serves as Senior Consultant to Leadership Music, a professional development program serving Nashville’s music community. Ivey is a trustee of the Center for American Progress, and served as Team Leader for Arts and Humanities in the Obama-Biden Presidential Transition. He holds degrees in History, Folklore, and Ethnomusicology, as well as honorary doctorates from the University of Michigan, Wayne State University, Michigan Technological University, and Indiana University. His book, Arts, Inc.: How Greed and Neglect Have Destroyed Our Cultural Rights, was published by the University of California Press in the summer of 2008. Ivey’s Challenge America Initiative, launched in 1999, has to date garnered more than $15 million in new Congressional appropriations for the Arts Endowment. Prior to government service, Ivey was Director of the Country Music Foundation in Nashville, Tennessee; was twice elected board chairman of the National Academy of Recording Arts and Sciences (NARAS); and is past President of the American Folklore Society. He is a four-time Grammy Award nominee (Best Album Notes category), and is the author of numerous articles on U.S. cultural policy, and on folk and popular music. In addition to Stas Namin, and Bill Ivey, the board includes Bob Santelli, Executive Director of the Grammy Museum and of the National Music Museum Alliance, former Executive Director of the Experience Music Project, former Vice President of the Rock and Roll Hall of Fame, and published authority on the history of rock music; Dr.Terry Stewart, former President of Rock and Roll Hall of Fame; Ambassador Andras Simonyi, Managing Director SAIS/Center for Transatlantic Relations, former Hungarian Ambassador to the U.S. during the George W. Bush Administration, rock guitarist and lecturer on the “soft power” of rock music; Dr. Timothy Ryback, Deputy - Secretary General of The Academie Diplomatique Internationale, professor, authority on history of the rock movement behind the Iron Curtain, and author of Rock Around the Bloc: A History of Rock Music in Eastern Europe and the Soviet Union; Dr. Gregory Guroff, President of The Foundation for International Arts & Education, Soviet expert and former U.S. Cultural Attaché to the USSR in the 1970’s (now deceased); Ojars Kalnins, Member of the Latvian Parliament and Chairman of its Foreign Affairs Committee; former Latvian Ambassador to the U.S. 1991- 1999, accomplished rock lyricist; Professor Mark Levine, University of California/Irvine - author, lecturer on the soft power of rock music, rock guitarist, and author of Heavy Metal Islam; and Professor Nils Muiznieks, expert on Soviet and Eastern European political history, former Latvian Cabinet Minister, and former Director of Latvia’s leading social science and political research institute at University of Latvia.